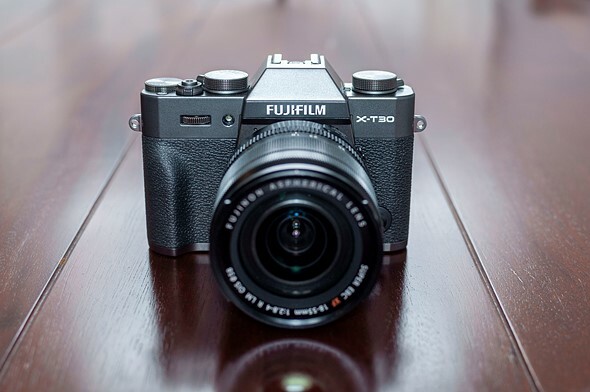 Fujifilm's new X-T30 brings much of the feature set of the high-end X-T3 at a more reasonable price. If that sounds familiar, it's because the relationship between the X-T20 and X-T2 was the same. 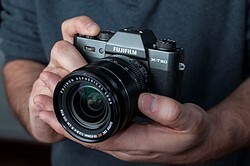 With the X-T30 you receive the same 26MP sensor and processor as the X-T3, a more advanced AF system (which the X-T3 will soon gain via firmware update,) plenty of direct controls and a tilting touchscreen, all in a smaller body. The X-T30 also comes at a significantly lower price than the X-T3, with the body priced at $899, versus $1499 for the X-T3. 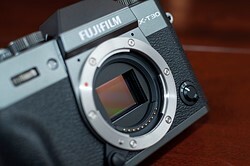 We'll discuss what features are cut in order to make the X-T30 the less expensive of the two options a bit later in this article. That's a lot of camera for under $900 body-only. If you'd like to add a lens, you can get the camera and the 15-45mm F3.5-5.6 OIS Power Zoom lens for $999, or with the excellent 18-55 F2.8-4 lens for $1299. The traditional black and silver models will be available in March, with the 'charcoal silver' model shown in this review coming in June. The X-T30 borrows the sensor and processor from the more expensive X-T3, and that's great news. It has a more advanced AF system (for now) and impressive video specs for its price range. For a $900 camera, the X-T30 is surprisingly well-built. 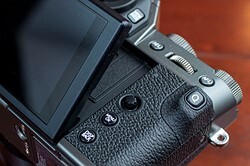 It has a tilting touchscreen LCD, nice EVF and direct controls that make it a pleasure to use. In addition to four customizable buttons you can also 'swipe' the X-T30's LCD in one of four directions to adjust settings. The camera offers two different customizable menus so you can set it up the way you'd like.